3D printing can now be sustainable and affordable. As if 3D printing isn’t revolutionary enough, Canadian startup ReDeTec has devised a filament extruder that uses plastic waste. A spool of 3D printing filament in one color costs around $30-$50; but if you already recycle your own plastic, your spools are free with ProtoCycler. The team – Dennon Oosterman, Alex Kay and David Joyce – recognizes that simplicity, reliability, performance and hackability are important to Makers and tinkerers. So much so, ProtoCycler allows anyone to create whatever they want without worrying about the cost or the environment. This easy-to-use machine takes in your recycled waste, and produces filament up to 10 feet a minute, in any color you like. Designed to be the easiest extruder on the market, ProtoCycler employs patent pending MixFlow technology to ensure consistent filament and faster extrusion of ABS and PLA plastic. 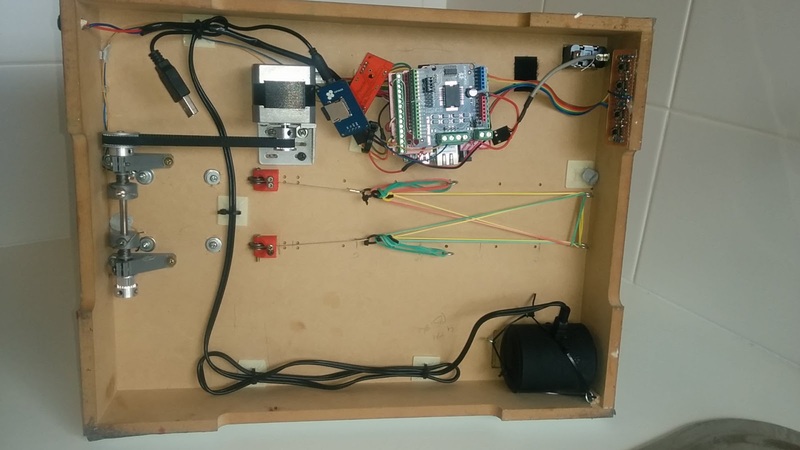 In total, the device is equipped with five motors (two steppers for extruding and pulling, a fan for cooling, a servo for spreading and a small little motor for spooling), three sensors (one temp and two diameter), and an ATmega32U4 for a brain. Makers will love the fact that it is fully automated with a push of a button, alleviating any unnecessary hassle. For more experienced users, ProtoCycler has open source software so you can experiment with your own settings and custom materials, fit for any 3D printer. The ProtoCycler comes with a built-in grinder, intelligent computer control, safety certification and real time diameter feedback. It has a grinder input of 5” x 5”, and an all metal hot end for 400+ Celsius. At 14” x 12” x 10,” ProtoCycler can sit on a table without taking up too much space. After three years of development, Oosterman and his crew are ready to get ProtoCycler into the hands of the public. ProtoCycler recently wrapped up a successful Indiegogo campaign, but those wishing to get their hands on an affordable, sustainable 3D printer filament can do so here. 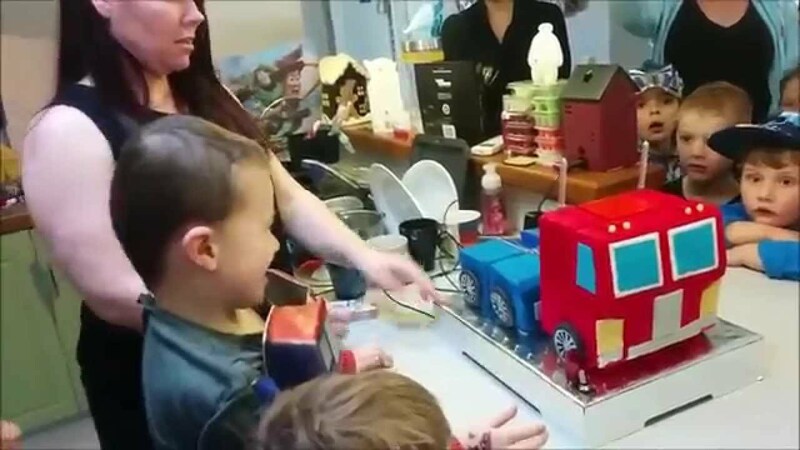 This entry was posted in 3D Printing, The Workbench and tagged 3D Printing, Filament, Filament Extruder, Indiegogo, Protocycler on February 8, 2016 by The Atmel Team. TinyArcade is the most adorable video game console you’ve ever seen. Josh Marinacci: Hi Ken. I’m one of the original Kickstarter backers of TinyCircuits and I love it. Could you tell us a little bit about TinyCircuits, why you created it, where it’s based? Ken Burns: Thanks! TinyCircuits started as a side project while I was working at a contract engineering company. We would help other companies (from one person startups to Fortune 500 companies), develop electronic products, and prototyping was always a huge part of what we did. However, to create working prototypes usually involved creating a custom PCB (somewhat expensive and time consuming), or hobbling together a number of different development boards to create the proto, which was always ugly and usually too big. So that’s what started the idea of a small modular system with a number of different sensors and options, and around the same time Arduino was becoming very popular so I decided to base it around that, which was the birth of the TinyDuino system. At the time it was just me in a spare bedroom of my house in Akron, Ohio, working on this and prototyping it up, but I showed it to a number of people and got a lot of great feedback, and decided to launch it on Kickstarter in the fall of 2012. The initial TinyDuino Kickstarter campaign did great, enough to convince me there was potential to create a business around it, so I left my job and committed to TinyCircuits full-time. Three years later we’re still going strong, with a staff of 8 people and our own electronics design and manufacturing operation here in Akron, Ohio. JM: One of our talented engineers recently built a Bluetooth wearable smartwatch using TinyCircuits. Have you seen a lot of adoption in wearables? What things do people build with it? KB: That’s definitely a great project! Wearables is definitely something people use our stuff for a lot, it’s very small, compact, and easy to use, which makes it perfect for wearable applications. We launched the TinyScreen last year, which is a small OLED display that fits onto the TinyDuino and allows users to create add a very cool compact display to their projects. Jewelry is one that a number of people have done, and some friends of ours are actually building out a 3D printed jewelry product based around our TinyScreen that should be launching early next year. Others are using our circuitry for wearable sensors, like for athletic and healthcare monitoring. And an eight-year old launched his own smart watch, the O Watch, on Kickstarter to teach kids 3D printing and programing earlier this fall that is built around our stuff! JM:Has anyone used your boards for a shipping product? KB: A few small companies have used our products for very low volume items, but a few are designing products that integrate in the TinyScreen which will be higher volume. For low to mid volume items (one to a few hundred) it makes a lot of sense to buy products like ours to integrate with, since it saves the need to design a custom PCB and do the upfront engineering. After a certain volume it’s more cost effective to design a custom board, and we actually have helped a number of companies do that with our in-house design partner. Josh: TinyArcade is absolutely the coolest thing ever. It’s a shame it won’t be ready in time for Christmas. Why did you decide to build this product, and why run it as a KickStarter instead of just selling it like your other boards? Ken: Thanks! We would have loved to have it out by Christmas this year, but we needed to take our time over the summer to get the design right. The TinyArcade is really an outgrowth of the TinyScreen project we did last year, one of the things people really liked about it was that you could play games on it, and a number of our users started creating games for it, like Space Invaders, Outrun, Asteroids, etc. In the spring we saw a really little arcade cabinet candy dispenser, and thought it would be cool to put a TinyScreen in it and play games, but the size wasn’t quite right. But the idea stuck with us, and we have a designer friend (Jason Bannister from mechanimal.com) design a 3D printed cabinet which came out looking incredible. We started showing this off at different shows, like Maker Faire Bay Area, and it was a huge hit, and people kept asking to buy it. So we decided to turn it into a product. We redesigned the TinyScreen to bring the cost down and way crank up the performance, and add things like audio, joysticks, and an SD expansion slot. The 3D printed cabinet is also fairly complex and something that needs a commercial printer to make (it can’t be printed on a Makerbot), so the prints are expensive. So we came up with a laser cut enclosure that could be made for much less but still look like a cabinet, so we could offer this at a low price. We’ve had great luck on Kickstarter in the past, and one of the big reasons we did this again is so we can buy the components in bulk. We’re still a small startup and cash flow is always an issue, so using Kickstarter lets us buy some of the major components (like the OLED, joysticks, etc) in volume to keep the cost down. If we did it without Kickstarter, the price per unit would have to be a lot more. JM: Where did you find those tiny joysticks? KB: Those are super cute, aren’t they?! We used some PSP type joysticks in the past for our joystick board, but these were too big for this. These joysticks are made by CTS and actually available at places like DigiKey, and work amazingly well. They’re great for very precise analog movements. They are one of the more expensive components in the TinyArcade, but definitely worth it. The top of the joystick is actually a knob that we designed ourselves and is a high-res 3D print, using a resin printer, so we can make it just like an old style arcade joystick. JM: Does the TinyArcade have room for expansion? I’d love to make one connected to the internet through Bluetooth or Wi-Fi. Will you support those options? KB: It certainly does! This is still a TinyDuino type product and maintains expansion capability, and there is room to add another board in the cabinet. Bluetooth and Wi-Wi are the two that we definitely consider the most likely, and since the platform is completely open source, it’s really up to the user’s imagination as to what they want to add. Based on how well the Kickstarter goes, and if there is community support, we’d love to see the ability for some multiplayer games over Bluetooth or Wi-Fi. JM: With a Wi-Fi board, is it possible to do OTA updates? KB: Right now we don’t have that capability, it really comes down to support in the bootloader. However we do support loading games and videos off a microSD card if it’s present, so it would definitely be possible to create a program to download files over Wi-i and save them to the SD card to use. JM: What’s next for TinyCircuits? Any new products in the pipeline? KB: We have a huge list of things in the pipeline that we would like to do, we actually have about 15 new expansion boards designed that should be hitting production early in 2016. One of the big push is into micro-robotics, so tiny servo drivers and motor drivers, new radio options, an ESP-based Wi-Fi board, many more sensors, and of course rolling out the TinyScreen+ board and the TinyZero processor board (basically the Arduino Zero, 32-bit ARM platform) which brings a new level of horsepower to the platform. JM: Tell us a little more about the Kickstarter campaign and when do you expect it to ship? KB The TinyArcade Kickstarter (successfully) ended on December 17th and we plan to start shipping in March 2016. The big reason for the delay is due to getting some of the key components in, like the raw OLEDs, this takes 8 – 12 weeks from our supplier, we plan to have the other items ready to go (the PCBs built, and the cases made), before then, so we can get shipping the moment they come in. This interview originally appeared on PubNub’s blog. This entry was posted in Cool Things, Maker Movement and tagged 32-bit ARM Microcontroller, 32-bit AVR microcontroller, 3D Printing, Akron, Arduino, Arduino Zero, Atmel Makers, Bluetooth wearab, crowdfunding, embedded applications, interview, Ken Burns, Kickstarter, mechanimal.com, OH, OLEDS, PCBs, Pubnub, startups, TinyArcade, TinyCircuits, TinyDuino, TinyDuino Boards, TinyScreen, Video Game Console, WiFi Board on January 11, 2016 by joshmarinacci.